These unique bookmarks serve a multi purpose allowing teachers and students alike to track progress and work towards higher aims! Upon completion, the bookmark can be used as a certificate as recognition for achievement in the studies of the Qur’an. 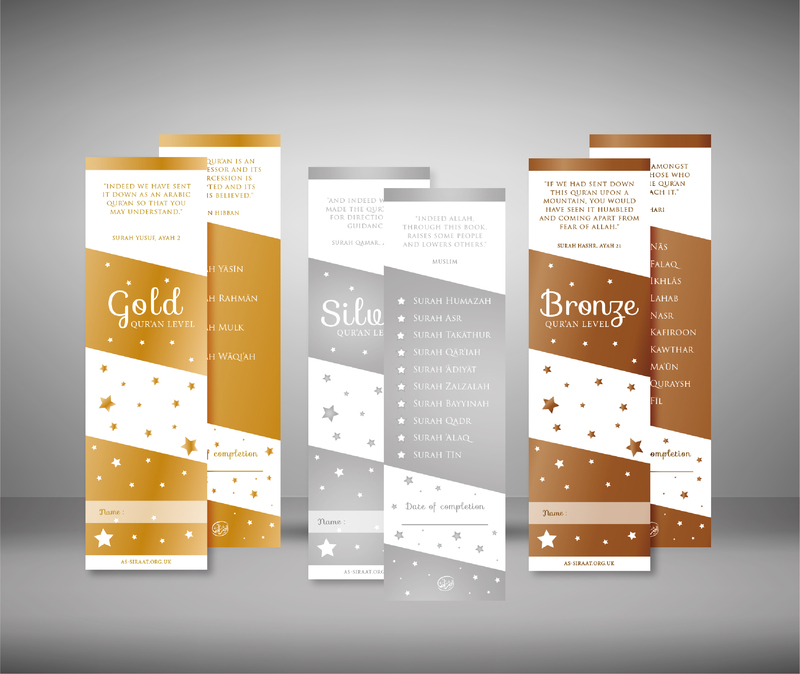 The bookmarks come in sets of three: 1 gold, 1 silver and 1 bronze. Each of the bookmarks serve a level of memorisation with each level becoming progressively difficult as the students progress. These bookmarks are perfect to be used as incentives in preserving the tradition of the memorisation of the Qur’an. Bookmarks are sold in units of 50 packs.